MONTREAL --Montreal Canadiens general manager Pierre Gauthier announced Tuesday the signing of free agent defenseman Brendon Nash to a two-year contract (2010-11 and 2011-12). 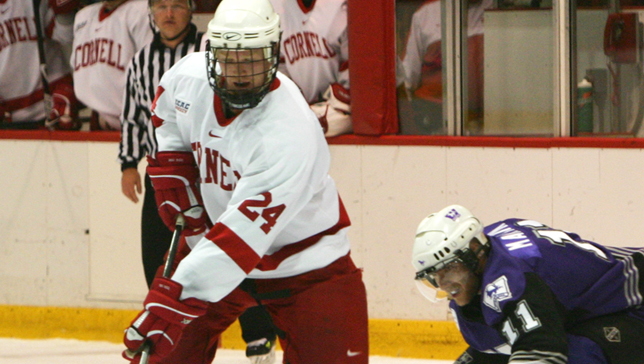 Nash, who is currently completing his studies at Cornell University, plays with the Cornell Big Red in the ECAC of the NCAA. Brendon Nash, who will turn 23 on Wednesday, March 31, is a 6’, 3’’, 206 lbs defenseman who hails from Kamloops, BC. In his last season at Cornell University in 2009-10 (team also includes his brother Riley), Nash led all team defensemen in scoring with 19 points in 33 games (2 goals, 17 assists). He also served 48 penalty minutes. Nash recorded a total of 67 points (8 goals, 59 assists) and 173 penalty minutes in four full seasons with the Big Red. He also led all team defensemen in points in each the past three seasons. From 2004 to 2006, Nash registered 60 points (9 goals, 51 assists) in 112 regular season games with the Salmon Arm Silverbacks of the BCHL (British Columbia Hockey League). Nash participated in the Canadiens’ development camp in 2009.